I first had this dish in the South of France. I was hooked on its simplicity. The flavor of the truffle diminishes at higher temperatures so remove the ramekins from the oven as soon as the bread has toasted. Preheat the oven to 425oF (218oC). Cut circles in the bread that will fit as caps for the ramekins. 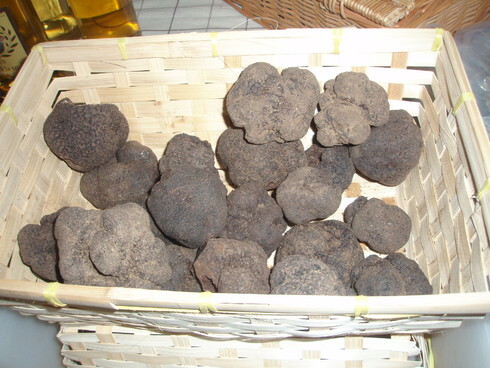 Place the truffle slices into a small oven-safe ramekin. Place a tsp of crème fraiche into each ramekin. Add a few drops of Port. Season with salt and pepper. Place a bread cap over each one. Brush the bread cap with olive oil. Place into the oven. When the bread begins to brown, remove the ramekins from the oven and serve quickly.